Another quick and easy one. Broil flatbreads 1 minute or until lightly golden. Remove from oven; carefully flip flatbreads over. Brush evenly with oil. 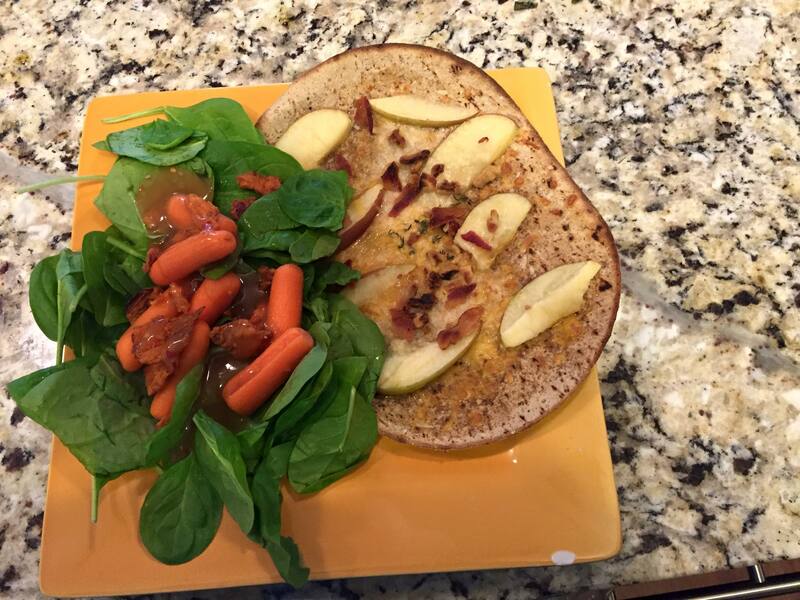 Sprinkle cheddar over flatbreads; arrange apple slices over cheese. Sprinkle Parmesan cheese, walnuts, thyme, and bacon evenly over apples. Return to oven; broil 1 to 2 minutes.